7 Great Locations for all Your Equipment Needs! Operating a ski and snowboard shop in Breckenridge is no joke. While today's Summit County visitors aren't looking for gold, expectations are as high as ever. And we take our job outfitting locals and visitors very seriously. Whether it's exploring the area's most remote terrain, or winding your way through the towns over 350 historic sites, we'll make sure you walk out the door with exactly what you need to make the most of your adventure. 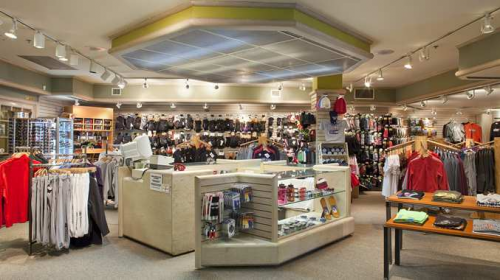 With so many ski and ride shop options in Breckenridge, you could spend an entire day browsing around, collecting your equipment, apparel, and accessories piece-by-piece. Or you could cut that time in half (save it for the slopes) and make one stop at Breckenridge Sports, where Summit County's best staff and selection can outfit you from head-to-toe. Breckenridge represents the ultimate Rockies experience, both on and off the mountain, and we want to help you explore all that it has to offer. Visit any of our convenient locations to start the journey. Need winter gear? Breck Sports has you covered!